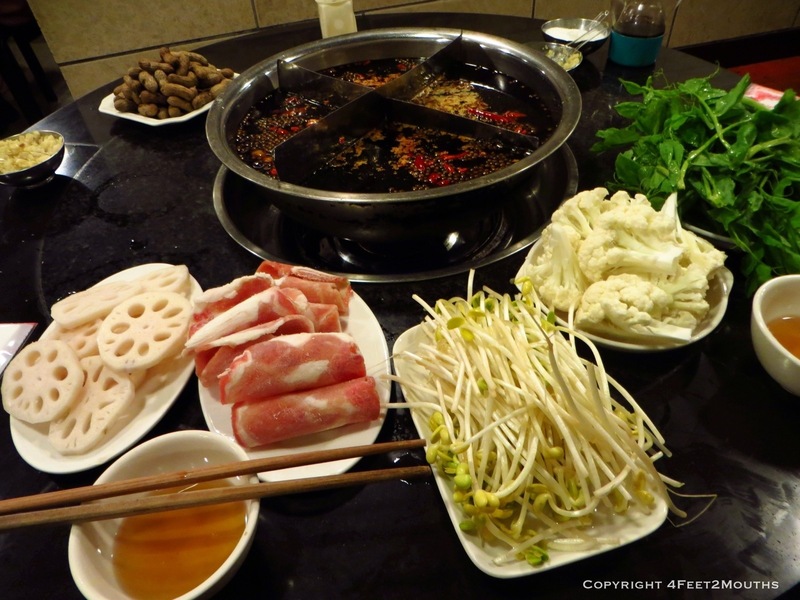 Hot pot is more than dinner, it is an experience, and in Chongqing, it is a ritual. A huge pot gurgles and spits spicy broth in the middle of the table. Countless plates of vegetables and meats are ordered and plopped in the broth. The cooked treasures are then fished out with chopsticks then dunked in crushed garlic and sesame oil and shoveled into hungry mouths. 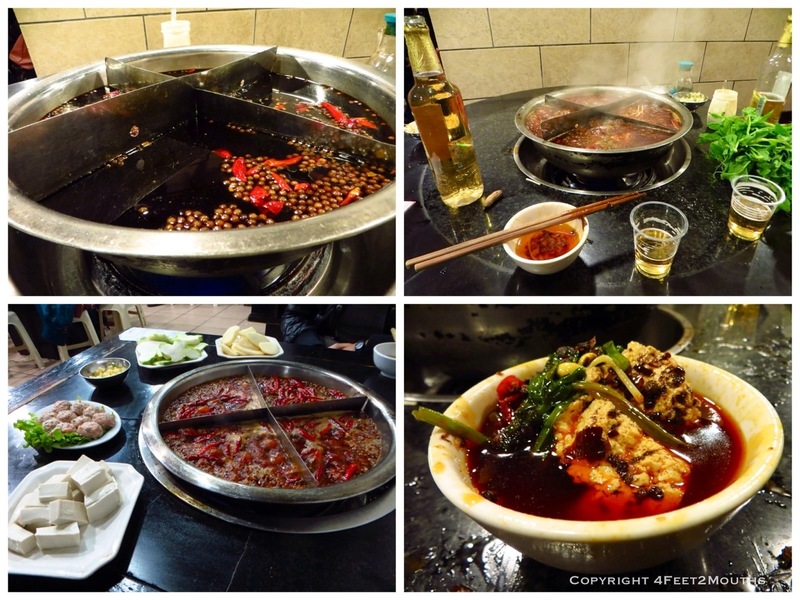 In our visit to Chongqing we were determined master eating hot pot, which to us, meant getting through the meal without dripping it on ourselves. I was hopeless and I had to revise my goal to ten blotches; Carmen had amazing skill and grace until I accidentally flung a slippery piece of tofu into her bowl and splashed oil all over her shirt and pants. Not good when we only packed two pairs of pants. We have tried hot pot before, but no place compares to Chongqing. 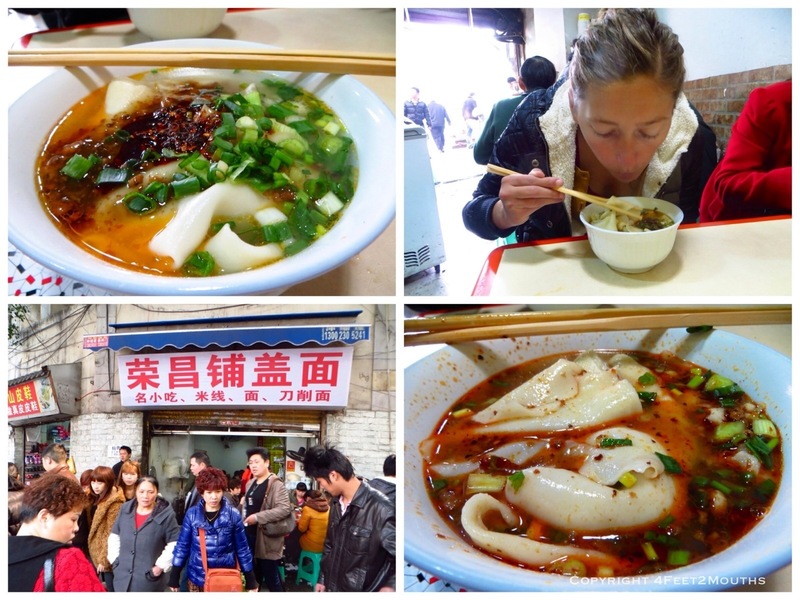 This city is the ChongKING of hot pot and everyone in China knows it. It is a signature dish of the city and hot pot shops around the world try to mimic the deliciousness that Chongqing residents have invented. Hot pot shops are scattered all over the city. They are everywhere, but several months ago there used to be even more of them. A recent law made it illegal to sell hot pot on the sidewalk, thus destroying one of the signature street foods of the world and driving it indoors. Nevertheless hotpot can still be found in lean-to shacks, high rise towers and even tucked into miniscule inhabitable spaces and bomb shelters. The whole process starts with sitting down at a table in some run-down restaurant; we found two: YèfùHuǒguō and Dòngtíngxiān Huǒguō (in an old bomb shelter) in a guide book and decided to give both try. The center of our table had a depression in it and there was a rubber tube coming out of the floor to pump the natural gas to the burner. Immediately upon sitting down the waitress was hovering over us. 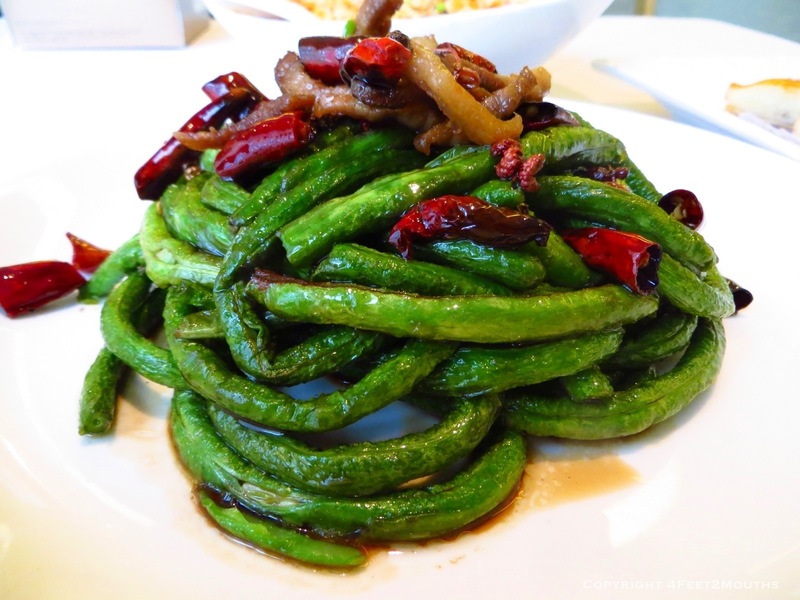 We ordered ours zhōng là which is medium/very spicy (around 7-8 out of 10). She scurried off to the kitchen and came back with a thick red fluid with thirty or so of dried chilies and hundreds of Sichuan peppercorns. We attempted in both cases to communicate the types of meat, tofu and vegetables that we wanted. When that failed we resorted to walking in the kitchen to point out a few items that we felt were essential. Eight or so plates showed up heaped with vegetables and frozen slivers of meat. Our favorites were the lotus root slices, long-shooted mushrooms, and Dòngtíngxiān Huǒguō had some tofu that was some of the best of my life. Cooking the ingredients is simple: throw them in the boiling pot, wait, pull them out and eat. The cooked ingredients come out dripping with flavor and sizzling with heat. The bubbling spicy fire broth is so hot that I still have not figured out whether it is called hot pot because of temperature or spice, but there were plenty of both. We enjoyed our feast with our mouths tingling on fire and accompanied by an essential beer. We walked away dizzy from the heat, stuffed to the brim, with our mouths still numb from Sichuan peppercorns. 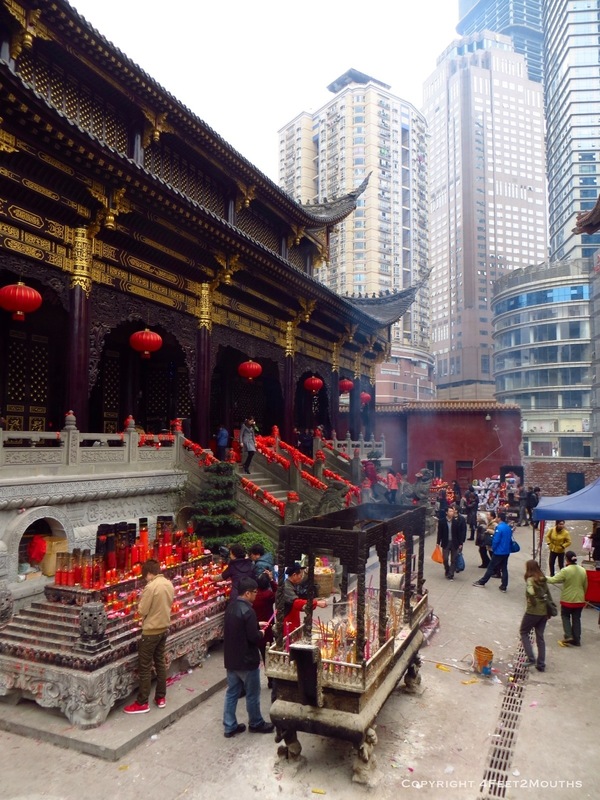 One fun sight to visit in Chongqing is the Arhat temple. The tiny one-story complex is situated right in the center of town and surrounded by 100m skyscrapers. 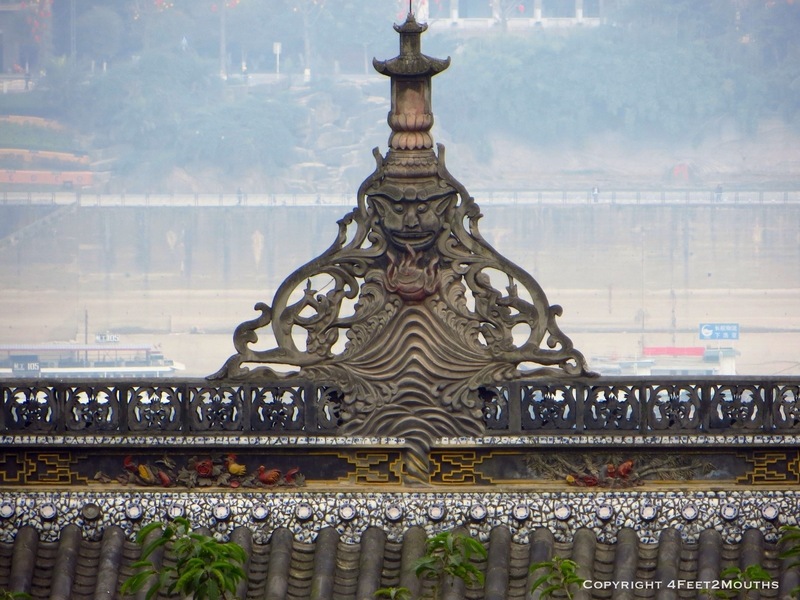 The temple is one of the ancient structures in Chongqing at over 1000 years old complete with ancient stone carving and scary warrior gods. 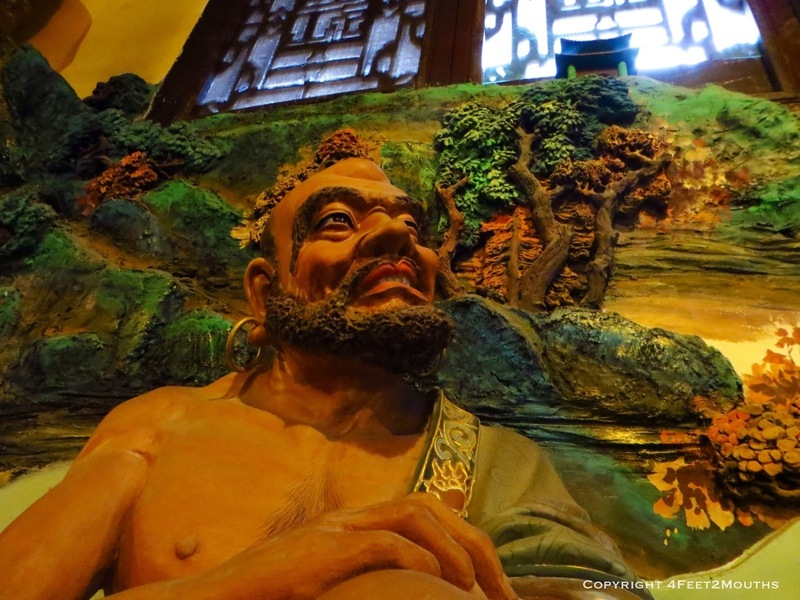 There is a hall inside that houses hundreds of statues of arhats or monks that had found enlightenment. Our hostel was at the bottom of the hill, but close to the garmet distribution market. We found an excellent food stall around the corner that served up some of our favorite fare: noodles and tofu. 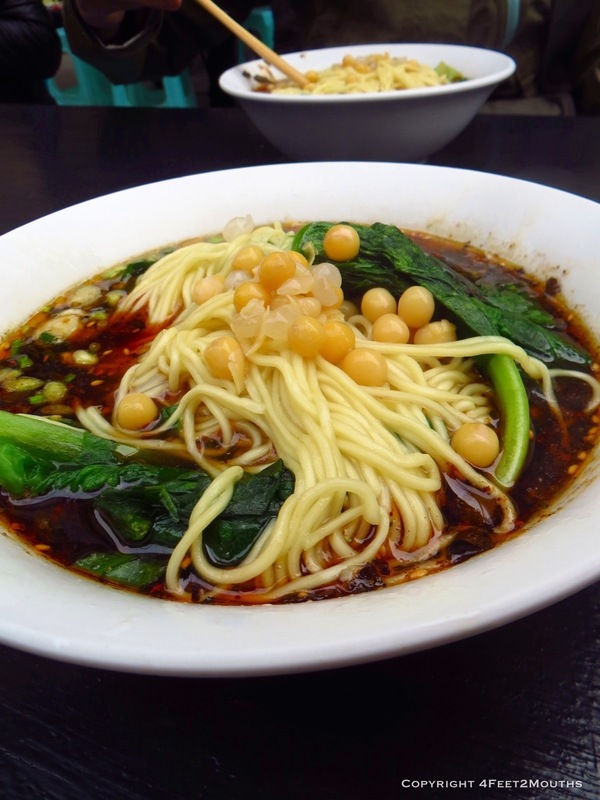 The noodles were pretty standard but impressively spicy and the added chickpeas were a nice change. We watched the owner scoop out the tofu out of a huge tub filled with water, she served it with some white rice and picked cabbage. 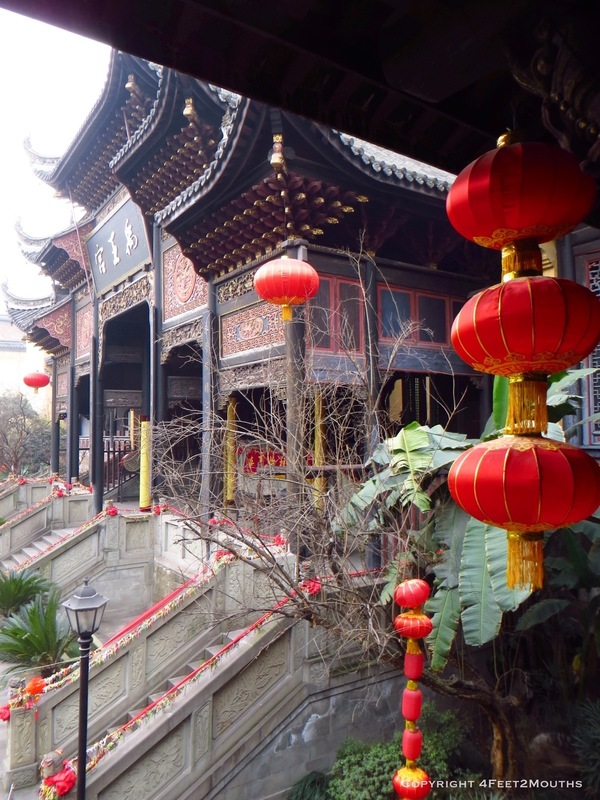 Chongqing has a pleasant array of historic and new architecture. 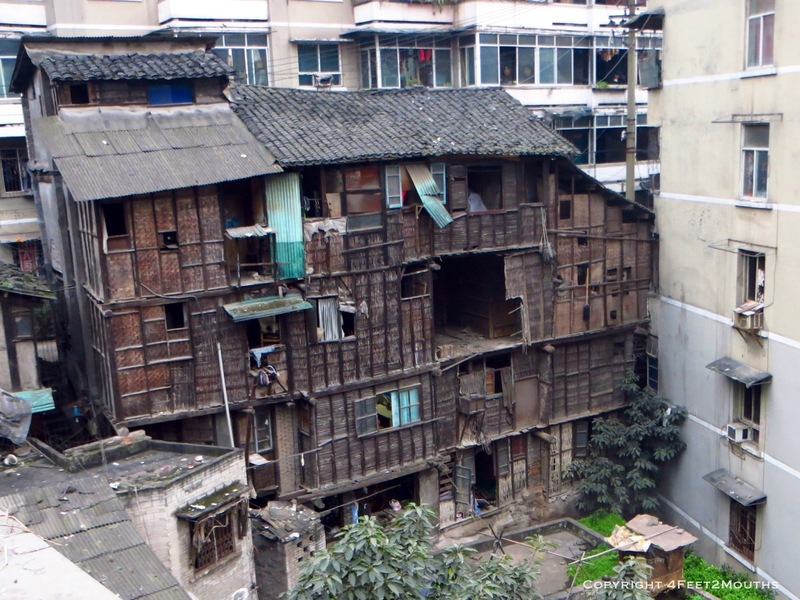 The traditional houses were built from wood stilts that were up to four-stories. 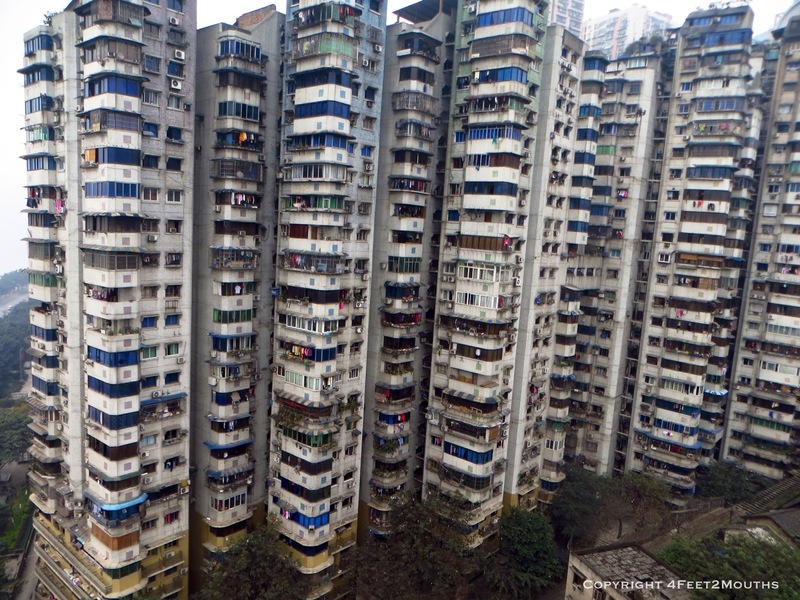 Many of these buildings have been replaced by modern high-rises, but there are a few neighborhoods that have a few leaning and partially condemned buildings still in use. 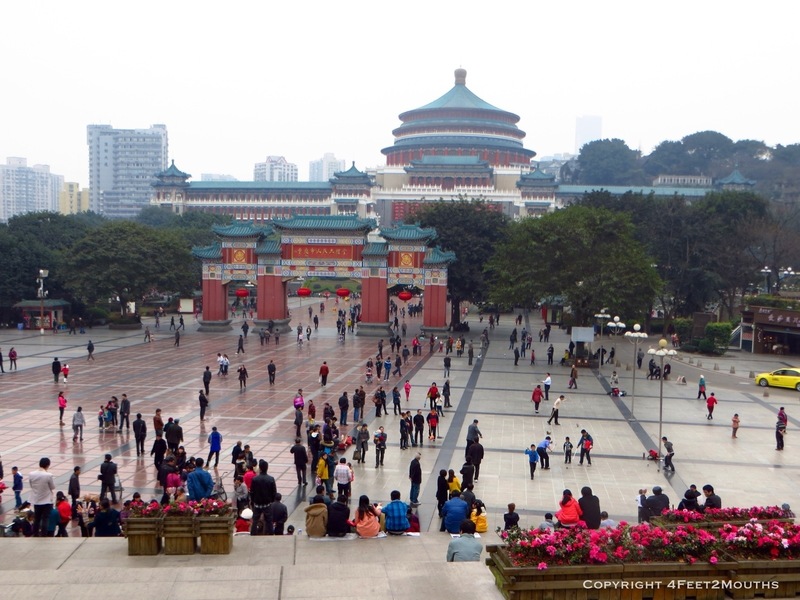 There is a rather new plaza near the great hall of the people and the three gorges dam museum. The plaza is one of the few places in China that is good for people watching. There were several groups of people exercising in a way we had never seen before. They would spin a top on the plaza paving then slap it with a long whip to get it going faster. The chatter of kids and people talking is shared with the cracking of whips every few seconds. 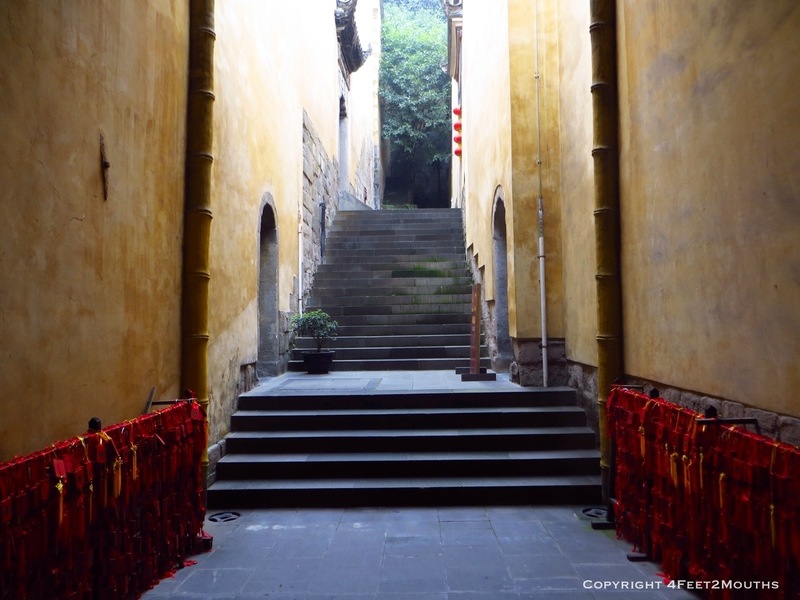 We immediately fell in love with Chongqing. Maybe it is the hills, or the spicy food, but everything felt familiar and enjoyable throughout our stay. I think it was that we were getting nostalgic for San Francisco. 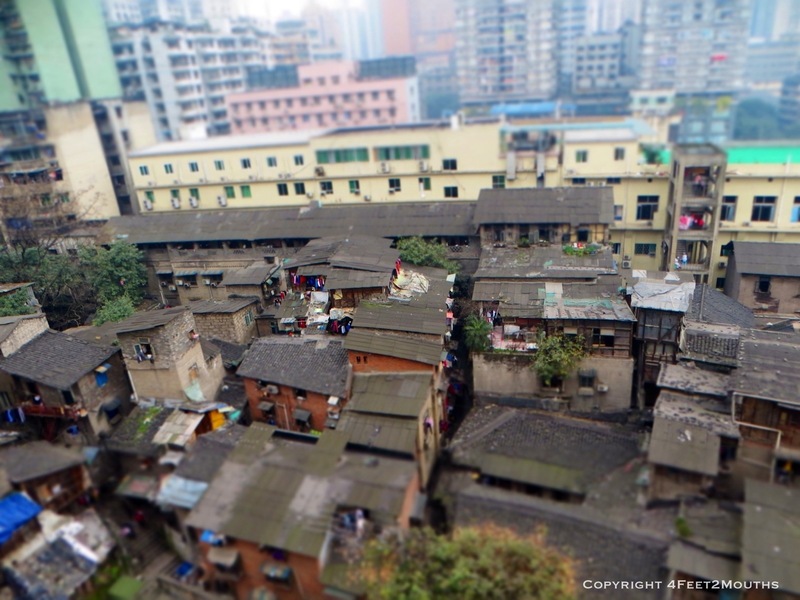 Chongqing is both older and newer than San Francisco. 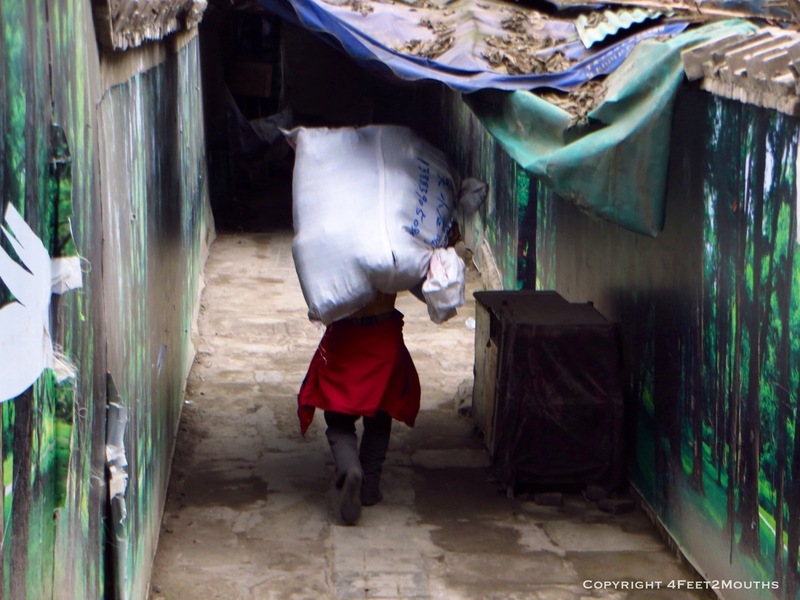 We watched several Chongqing men carrying enormous packages on their backs up and down the stairways and I wondered if that type of thing existed in SF a hundred and fifty years ago. Chongqing is about as far away from fixie bike messengers as SF is to having an urban density anywhere close to Chongqing. Differences and similarities are broad, and there is never enough time explore either fully. 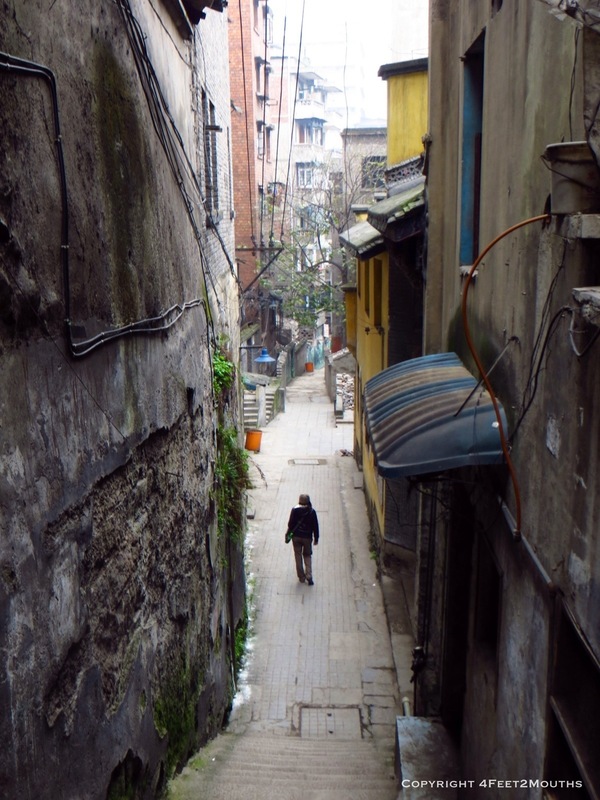 The city has its share of picturesque alleys, stairways and winding streets. We roamed up and down the steep mountainside and sniffing at the air every time we passed spicy sizzling food. 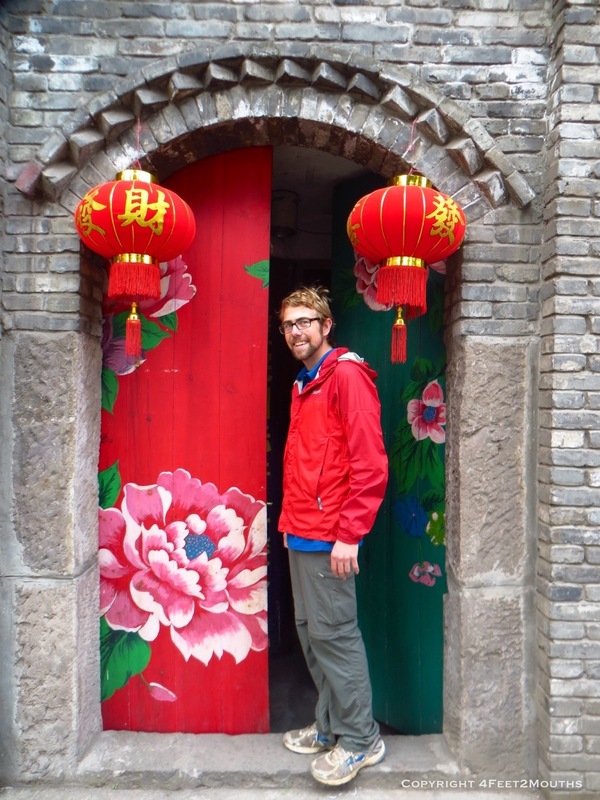 We could not wait to get into the Sichuan region to the west. Chongqing and Sichuan share their love for spicy food and for many years now Carmen and I have been obsessed with cooking and eating Sichuan. So we went to a slightly more upper scale place than we are used to going. I forgot all rules and ordered without abandon with the excellent picture menu. 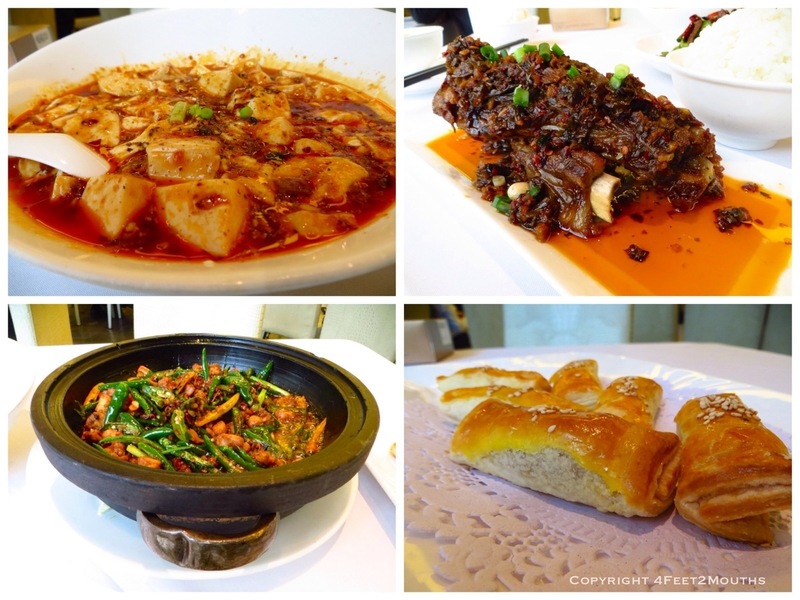 The Sichuan rabbit dry pot was fantastic, but too much work to pull off the meat from the shattered bones. Long beans and ma po dofu remain one of my favorites and will continue to be ordered over the next few weeks. Another cool sight is the Húguang Guild Hall. This historic complex used to be a meeting place for local and regional merchants. We explored the hillside buildings and opera stages and admired the ornate carvings and ornaments. Chongqing is simply a great city. There is history and culture, but few big sights to attract tons of tourists. It has impressive density and charm that has definitely fascinated us and we will definitely return some day. We are obviously attracted to crowded places and even more so when food is involved. 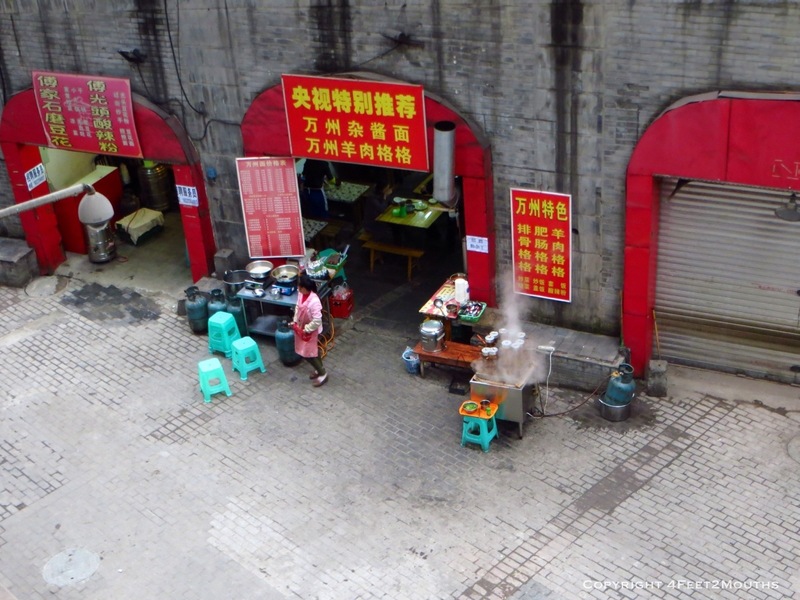 We passed this knife-shaved noodle place ten times while exploring Chongqing. The day we decided to get the noodles happened to be our last few moments in the city. With our backpacks on we pushed and shoved our way into the tiny restaurant. We sat in the back and two bowls were dropped in front of us. The noodle was more of a thin sheet of pasta and the broth rich and tangy. With our hunger filled we boarded the brand new subway to the high speed train station. 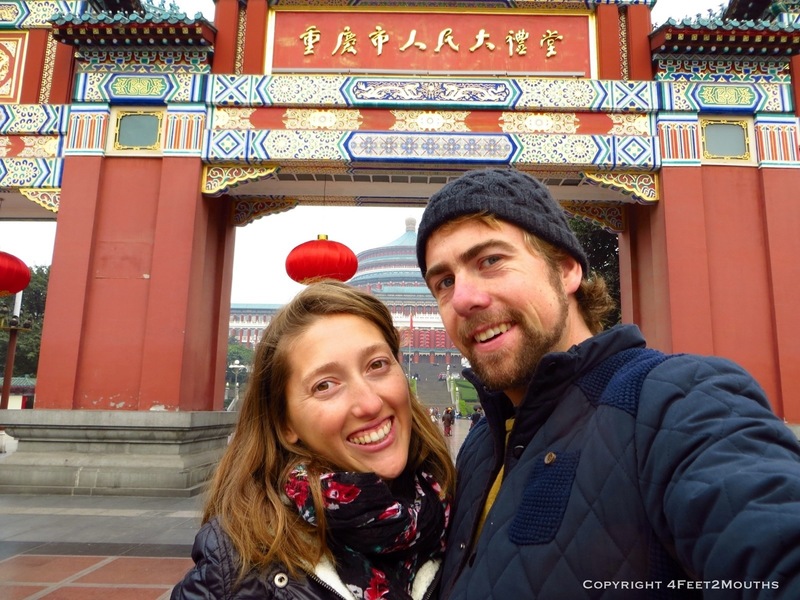 It was finally time to enter Sichuan and one of our most anticipated cities- Chengdu. Is dofu like tofu for dummies….if so count me in!!! Actually I butchered the pinyin conversion; they pronounce it more with a hard “d” here. But yeah…tefinitely get some dofu in your dummy. 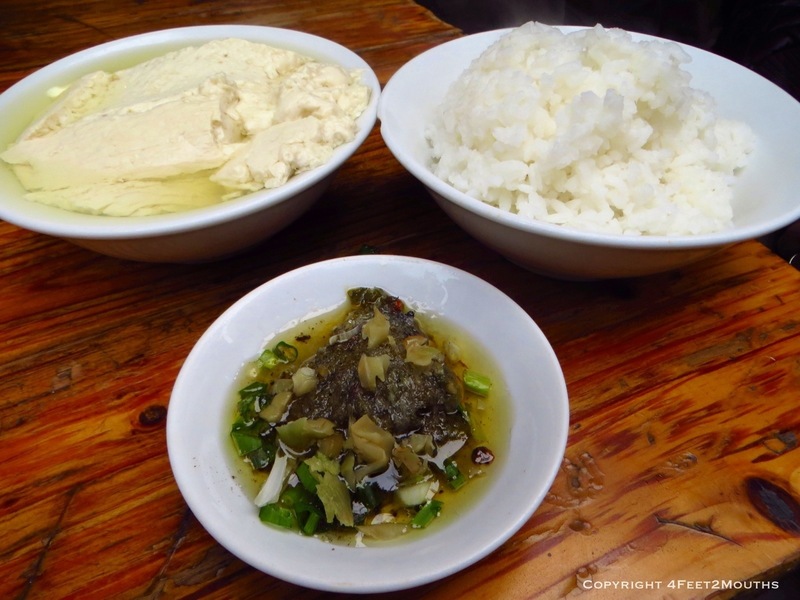 Thanks for reading…if you like Chongqing food, just wait until we get to Chengdu!